Political leaders have the power to effect great change and unite disparate peoples. Unfortunately, as Lord Acton and others have noted, power also can corrupt those who wield it. Throughout time, the world has witnessed the reigns of both benevolent and brutal leaders, some guiding nations to greatness and others perpetrating unspeakable atrocities. 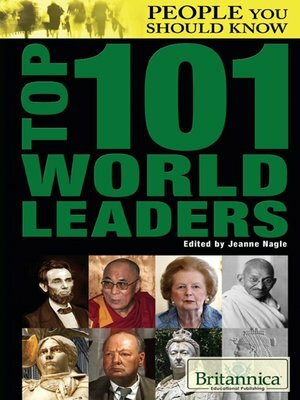 This inclusive volume examines the lives of some of history's most notable and notorious leaders from around the globe. Readers are invited to consider the nature of governance and the qualities that define true leadership.